Richard Buswell is an actor, director and fight choreographer. 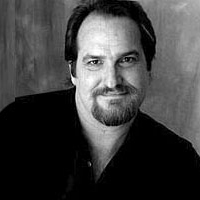 He holds a BFA in Drama from the University of Oklahoma, and is a member of several arts and training organizations, including the Society of American Fight Directors and Fight Directors Canada, and was a founding member of such organizations as Actors for Actors, the DST Arts Council, and KC Stage Magazine. Richard has appeared in over 100 theatrical productions in his performance career. He has received additional training at various workshops and classes both here and abroad. His stage combat training includes the National Stage Combat Workshop in Las Vegas, Nevada, the International Stage Combat Workshop in Tucson, Arizona, and the Paddy Crean International Stage Combat Workshop in Banff, Canada . Richard has trained in Unarmed, Single Rapier, Rapier and Dagger, Broadsword, Quarterstaff, Firearms, Smallsword, Whips, Zulu Stick Fighting, Victorian Cane Fighting, Commedia Lazzi, Fighting for Film, Domestic Violence, Professional Wrestling, Non-traditional Battles, Clowning, Footwork, and Choreography for Opera.